More and more Chinese companies and venture capitalists choose to invest in Israeli companies in recent years. 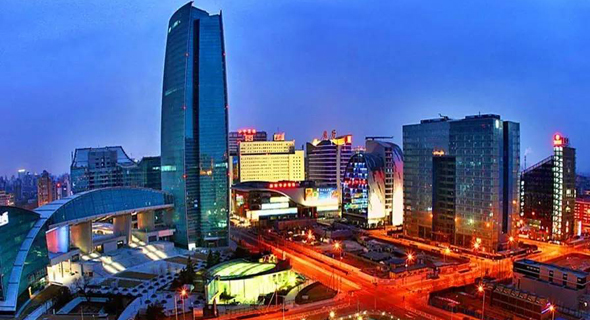 Israeli tech companies and startups will meet with Chinese investors at the Innonation China-Israel Investment Summit to be held for the fourth time in Zhuhai, a city in the south of China, July 2-4. Some Israeli entrepreneurs who successfully secured Chinese investments report they encountered various setbacks caused in part by cultural differences. When negotiating a $15 million investment by Chinese e-commerce company Alibaba Group Holding Ltd. in his company Infinity Augmented Reality Inc., (InfinityAR) co-founder and CEO Motti Kushnir found one very meaningful difference. The Chinese side had a much harder time saying ‘no’ over the phone, Mr. Kushnir recalled in a phone interview with Calcalist on Wednesday. It took us a while to realize that, he added. The investment from Alibaba in 2016 gave InfinityAR some advantage when entering the Chinese market, said Mr. Kushnir. It is difficult to enter this new market where you do not necessarily have the tools to evaluate if the company you are speaking with is a reliable partner, he said. “Backed by a company like Alibaba, we got some respect and fame in the Chinese market,” Mr. Kushnir said. It gave the company a seal of approval that opened doors to leading players in the Far East, he added. Alibaba also helped InfinityAR with its day-to-day activity and recruitment efforts in China, Mr. Kushnir said. “The investment also boosted our credibility in other markets, including the U.S.,” said in a Sunday email interview Ami Gal, co-founder and CEO of database software company SQream Technologies Ltd. that, in May, raised $26.4 million in a round led by Alibaba. Chinese investors are interested in companies that target the Chinese market, Mr. Gal said. Mr. Kushnir agreed. “You don’t turn to the Chinese market to look for investors unless it is a relevant business market for you,” he said. Chinese investors want to see that a company views the Chinese market as its main target, he added.